Lots of sports organizations are getting into this and it's going to change sports streaming forever. So let's talk, what is OTT platform and how to properly understand it. OTT stands for “over the top” technology. Over the top (OTT) is a term used to reference to content providers that distribute streaming media as a standalone product directly to consumers over the Internet, bypassing telecommunications, multichannel television, and broadcast television platforms that traditionally act as a controller or distributor of such content. When talking about OTT technology it is important to understand the difference between the distribution channels and content creation systems. Distribution channels are internet destinations where the streamed content will be placed. Couple weeks ago I participated in Croatia Futsal Week as a consultant to help them integration automated camera filming systems with OTT distribution through Youtube channels. Project objective was following: use automated cameras and distribute it for live stream on Youtube. First of all thank you very much for your initiative to work with me on OTT integration for FutsalWeek. This was a week-long tournament with the preparation time for the event, was a very interesting project for my staff and I. Would you mind sharing with me your thoughts about the project FutsalWeek? When and why you started this project? From summer 2013 through Futsal Week Tournaments we are connecting people from all around the World by offering them different types of Tournaments, great venues, and entertainment. Our Team is from Futsal and we believe we are able to help visitors to enjoy this thrilling sport and friendship during their stay in our country. In the meantime, we are promoting Futsal worldwide and also our beautiful country, its culture, food, and kindness of our people. During the FutsalWeek games streaming, streams were watched in at least 8 countries, as we saw during the week number of viewers increased from hundreds to more than thousand per game. I'm not a big expert in futsal but my feeling is that futsal can be a strong indoor sport and can keep certain market share among team sports. What do you think about using cutting-edge technologies in futsal? Futsal is already several years fastest growing sport on earth. Live streaming is a must for our events. We know the importance of promotion and a quality of this service we are offering to the visitors. But Futsal also needs to grow in terms of game understanding, game quality because potential is really huge in this direction. We have to use many examples from basketball in this particular sport, professional level has made a big step forward thanks to performance analysis and data collection. Technology could help our sport to reach a new level of quality and become more and more visible and enjoyable product for TV. What's next for you? How big can be the project in a couple of years? 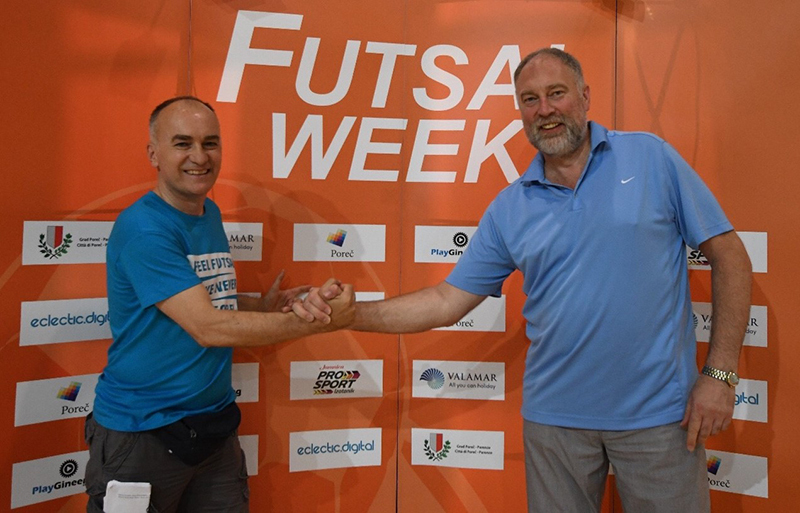 FutsalWeek would grow over just the futsal as a game? Probably some sort of activities can be created and organized around beautiful international futsal tournament? We are following how Futsal is breathing and act quickly what situation is favorable for our company. Youth Futsal is an area where we can make big progress but also high-level Tournaments for A National Futsal Teams is a part of our offering. Our intention is to organize 4-5 International Futsal Tournaments in different categories around the World. U19 Futsal Week Summer Cup last week was a big success and we will try to repeat it every year trying to attract more teams possible. Let's hope. Obviously it's not an easy step to fully integrated your game streaming processes on fully native internet based platforms, but you have to start somewhere. My advice, get started with simple video sharing on social platforms. Once you get little more comfortable start thinking about current streaming solutions and how those can be altered for independent use. Of course you always have my contact information, I'm always happy to connect and answers questions you might have. As you might know, I'm always a huge fan of new sport tech companies. 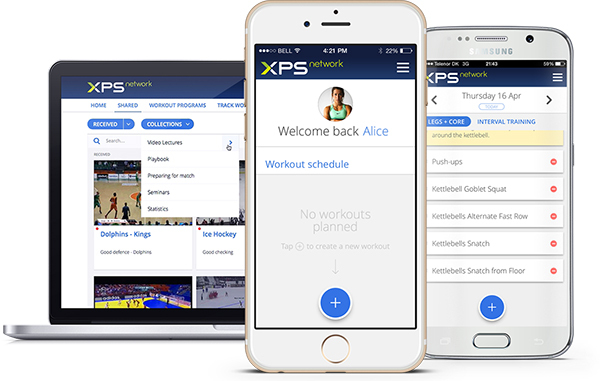 This time it's an OTT platform that is developed for sports training video collection and streaming. Name of the company is XPS Network. (1) Coach maintains training video database ? (2) coach organizes and assigns videos to players ? (3) players get access to training videos on their mobile phones.